Choosing the right badminton racket is one of the most important things to do when starting this wonderful sport. The racket is like an extension of your arm and needs to fit your personal style, technique and skill level. 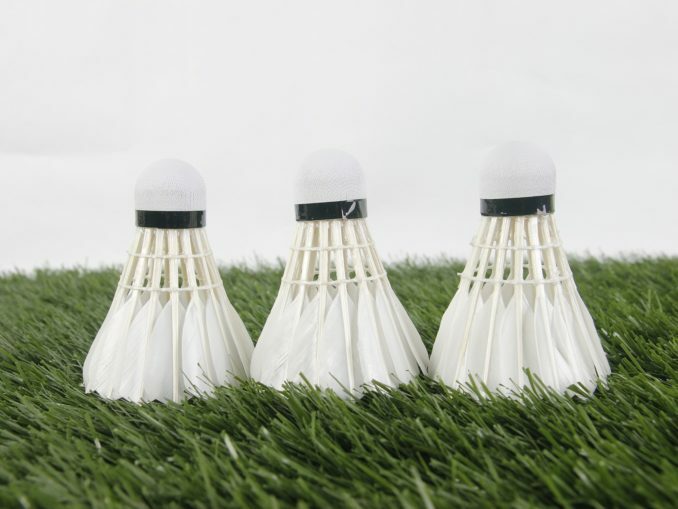 There are all sorts of rackets available that combine different values of these five characteristics and therefore provide a very individual feeling when hitting the shuttlecock. So lets have a look at each feature and analyse the impact it has on the playing style. This might give you some hints already for choosing the best racket for yourself. Head heavy => The balance point at the head of the badminton racket will offer more power and length for your smashes and clears. The reason is simply the additional mass that is being moved when you hit the shuttle. This supports your acceleration and makes it easier to hit the shuttle far. But there is a downside of a head-heavy racket. It is far less manoeuvrable than a head-light racket. It takes more time to move the racket head where you need it, simply because of the weight. And we all know how important reaction time is in this fast sport. That`s why head-heavy rackets are more suitable for Singles play, since it`s not as fast and furious as Doubles and the added power is helpful when you are alone on court. Head light => If the balance point is at the grip, this gives you more control over the racket, because it`s more manoeuvrable and easier to move. 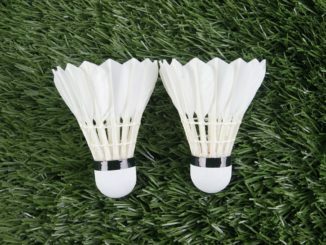 So a head-light badminton racket is more suitable for Doubles than Singles, because of a better reaction time, easier and quicker net play and fast drives – which are all features essential in Doubles. The downside of a head-light racket is of course that it doesnt help you generating power through the extra weight in the racket head. 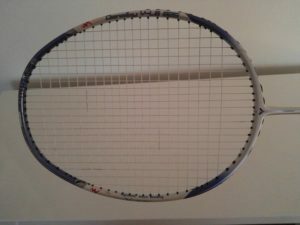 The good thing is that generating power is not just a matter of weight/mass, but also of the right technique and especially the racket stiffness, which I will explain further down. Even balanced => This is obviously inbetween the two extrem and therefore suitable for an allround game. It won`t help you generating length as much as a head-heavy racket would. Neither won`t it be as easy to move as a head-light racket. It is a compromise and neither it`s upsides nor the downsides are as distinct as with the two types of balance I explained before. So an even balanced racket is often used as one racket for singles & doubles simultaneously – e.g. if you don`t want two switch between two rackets or simply can`t afford it. Again, there is no “optimum weight”, it depends on personal preference and even on each individual physique. 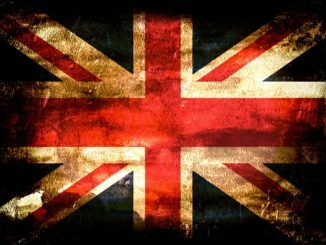 A man can cope with a heavier racket better than a woman simply because he is physically stronger. A light racket offers the advantage of better manoeuvrability and faster reactions. On the other hand the lack of mass leads to a loss of power when swinging the racket head. 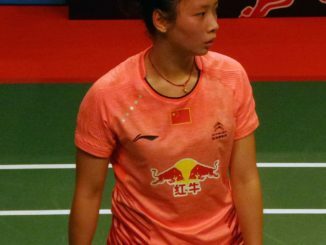 That is why in general a badminton racket for doubles will be lighter than a badminton racket for singles – quick reactions is everything in Doubles! A badminton racket comes with a certain stiffness. That means nothing more than how “bendy” the shaft is. You can easily test this by holding the racket grip with one hand and bend the racket head with the other hand. You will notice a difference between rackets, some won`t bend at all, others will bend quite a bit. But be careful and don`t overdo it, you don`t want to break it! Besides…you will find the stiffness value printed on the shaft. As well as the balance the stiffness has a huge impact on the feel of a racket. As a general guideline you can say that a flexible shaft is for beginners, the better you are, the stiffer your shaft should be. As a beginner you usually don`t have the best technique and can`t generate as much power and length as you`d like. A flexible shaft will help you because of the whipping effect. During the hitting motion the shaft will bend and will swing back when you hit the shuttle and thus support your acceleration. This support comes at the expense of precision. A flexible shaft provides far less accurate hitting than a stiff shaft. An advanced player with good technique wouldn`t need help generating power and length and therefore will go for the added accuracy of a stiff shaft. Let me add another thought here, because the stiffness is a highly individual thing as well: I feel like the right choice for you doesn`t just depend from your level of play. It also depends on your racket movement and hitting motion. Even among intermediate or professional players there are many different styles and techniques. If you use a short powerful motion and a lot of finger work is involved: A stiff shaft would be better. The grip size in Badminton is unfortunately not standardized, but in general it is indicated from G1 to G5, G1 being the smallest grip size and G5 the largest. As the other four features of a badminton racket, the grip size is highly important. A beginner might opt for a very thick grip, because it feels saver in the hand – no danger of the racket flying away during a smash. And there is some truth to this. The racket lies firmly in your hand and can help you hitting harder. However, I would always recommend a rather thin racket grip, because generating power is much more a question of technique. An advanced player will work with his fingers and perform a snapping motion at the moment of shuttle impact. The snapping at the handle will result in the racket head shooting forward and give the shuttle some extra speed. That is why the grip should be as thin as possible without feeling uncomfortable. Another advantage of a thin grip is the flexibility. It lies in your hand much easier, can be turned and twisted as needed for different shots. That is especially important for deceptions. It gives you so much more control. 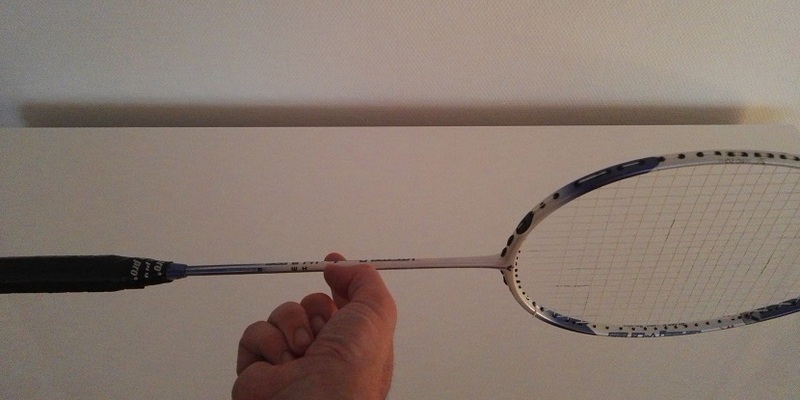 That`s the “normal sized” grip, you will usually find when you buy a badminton racket. 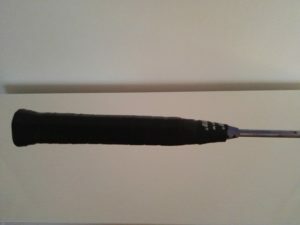 The overgrip is very thin and can be applied on top of the normal grip or -what I recommend- used as the only grip, which will result in a very thin handle. This grip made from towelling material can be great if you sweat a lot, because it absorbs the sweat and provides a good connection between hand and grip. Some players also believe that they have more control because they feel the racket more intensely. However, please note that you would have to change a towel grip much more often than the other two grip choices. Depending on the frenquency you play Badminton, I`d say at least every 3-4 weaks. Because after some time a towel grip just feels like a wet, old towel and that doesn`t help playing badminton. I hope this badminton racket guide will help you making an informed decision when you buy a badminton racket. If youz have any thoughts on this article, feel free to comment!